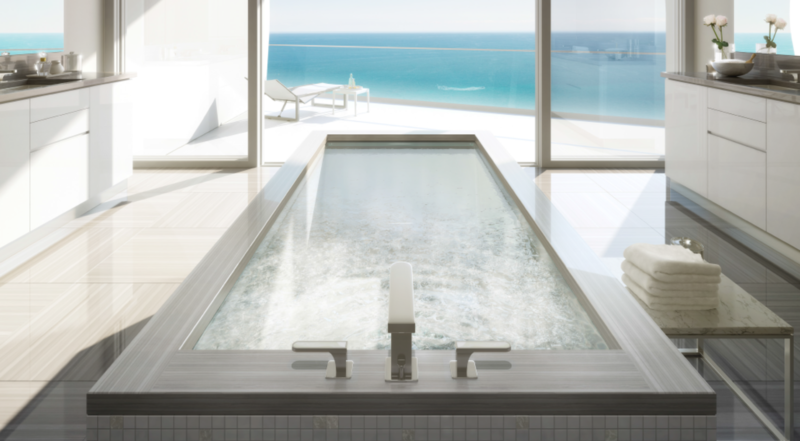 Rising fifty-seven stories over Sunny Isles Beach, Jade Signature offers 192 boutique residences with 1-to-5 bedroom layouts from 1,400 to 5,000 square-feet, and a number of select high floor luxury penthouse homes with 7 bedrooms and ranging in sizes from 5,900 to 10,500 square-feet. 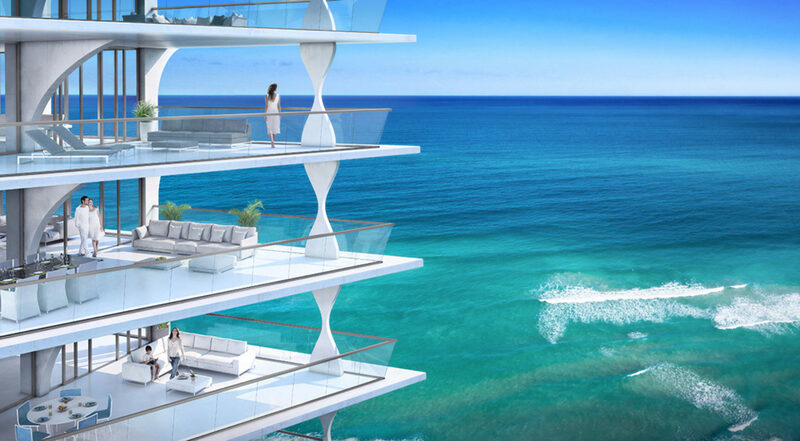 All residences offer oceanfront views, 10-foot high ceilings, private entry lobbies for each residence and “Smart Building” technology. 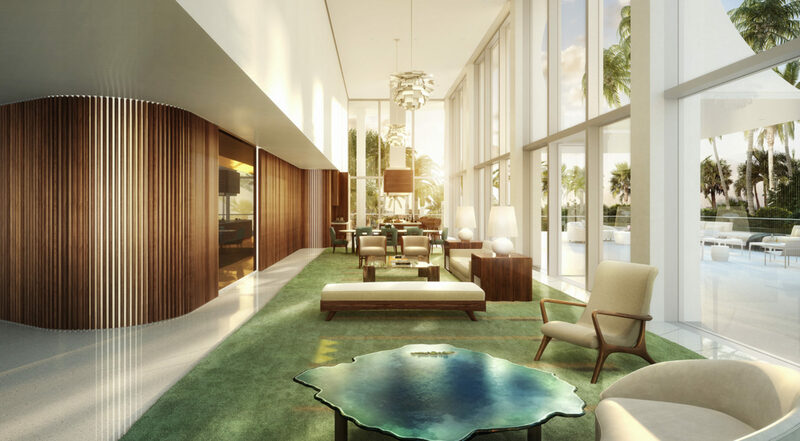 One of the leading Jade Signature floor plans is the Sky Villa featured on the 51st – 54th floors. 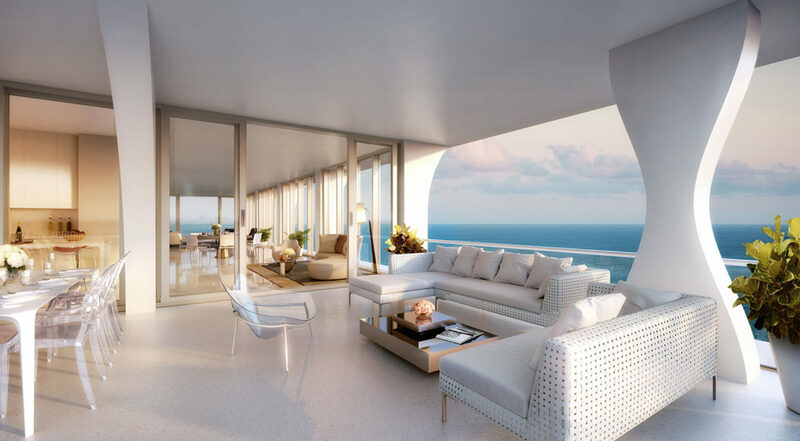 These premier residences face South with an endless view of the Atlantic ocean and Miami’s coastline. 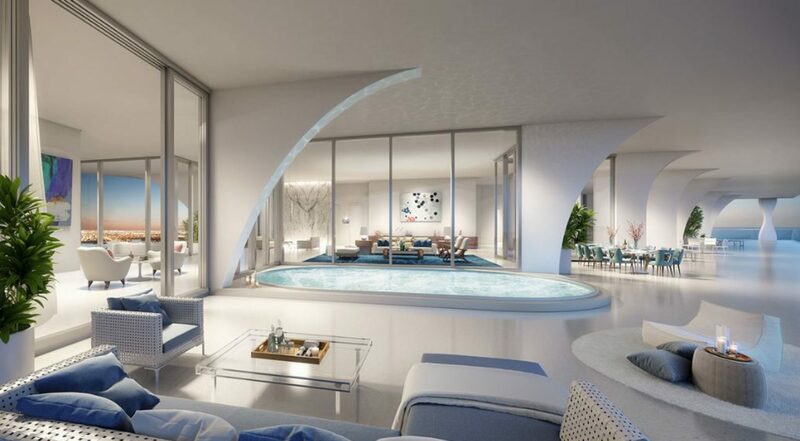 Only three Sky Villas are available, ranging from 6,305 to 6,735 square-feet, and start at $12 million. 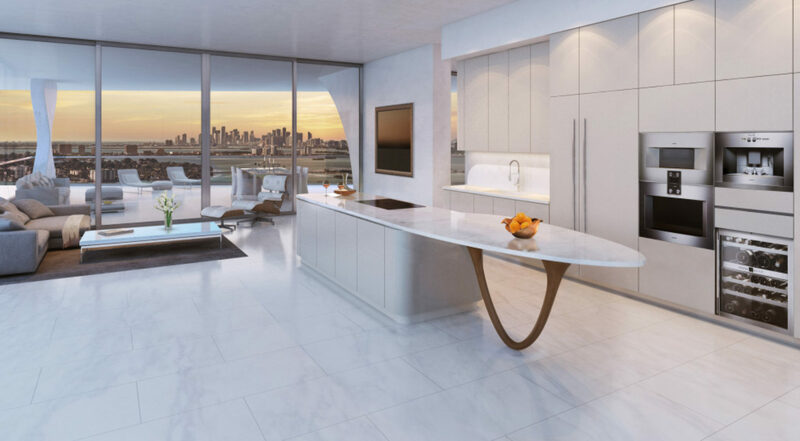 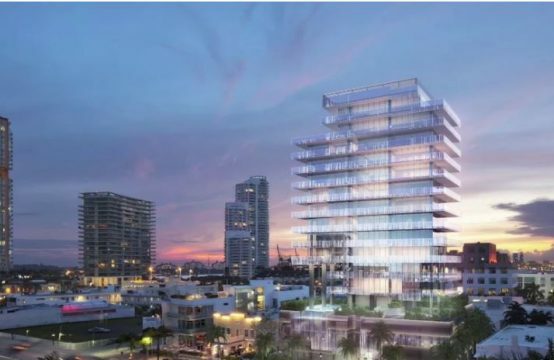 The Jade Signature condominium will be in the shape of an eye-catching parallelogram, with large balconies and terraces designed for extra outdoor living space in each of the residences. 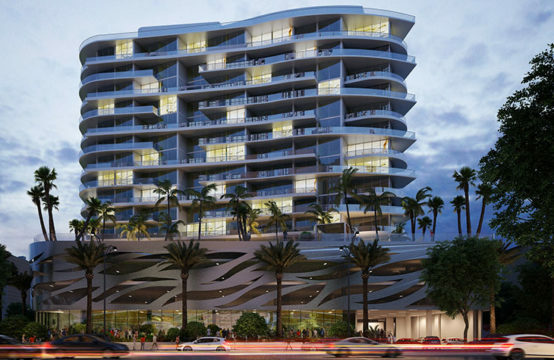 Furthermore, this magnificent project features a curved driveway becoming a ramp for the underground parking garage and a stunning two-story lobby showcasing three circular grand staircases.